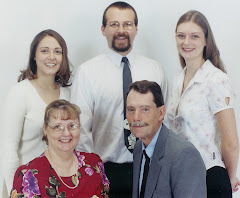 The Wilson Clan was formed 27 September, 1980 in the Downey 4th Ward building in the Downey, California Stake of the Church of Jesus Christ of Latter-Day Saints. Sam, as she is known, brought Jonathan and Joanne with her to the Clan. In June 1981, Jenny was added to the numbers. The following November, Jon and Jo became official Clan members when Don, Sam et al, were sealed for time and eternity in the Los Angeles Temple.